GOD has never revoked this gift. He has never removed His Spirit from the Church—He is still her Divine, personal, and abiding Resident. All that we spiritually know of ourselves—all that we know of God, and of Jesus, and His word, we owe to the teaching of the Holy Spirit; and all the real light, sanctification, strength, and comfort, we are made to possess on our way to glory, we must ascribe to Him. To be richly anointed with the Spirit is to be led into all truth; and to be filled with the Spirit is to be filled with love to God and man. To plead for the bestowment of that which God has already so fully and graciously given, seems to mark an unbelief in, and an overlooking of, the mercy, as ungrateful to the Giver as it is dishonoring to the gift. But for a larger degree of His reviving, anointing, and sanctifying influences we do most earnestly plead. The Spirit, though the ever-blessed and abiding occupant of the Church of Christ and of the individual believer, may not always be manifestly present. The prayerless, unholy, and trifling walk of a believer will cause Him to withdraw His sensible presence. The coldness, formality, worldliness, and divisions of a church will compel Him to withhold the plentiful rain or the gentle dew of His precious influence. He may be so disowned, dishonored, wounded, and grieved, as to retire within the curtains of His secret glory, leaving for a while the scene of worldliness and strife to the curse and the reproach of barrenness. All we want is a richer and more enlarged degree of the reviving, sealing, and witnessing influence of the Holy Spirit. 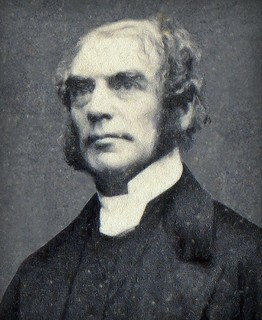 This will sanctify and bless the learning, the wealth, and the influence, now so rich an endowment of Christ’s redeemed Church; and without which, that learning, wealth, and influence will but weaken her true power, impede her onward progress, and beget in her a spirit of human trust and vain-glory. This, too, will consume in its holy fire the unhallowed spirit of jealousy and party strife, now the canker-worm of the one body; and without asking for the compromise of truth, will yet, in the love it shall enkindle, so cement the hearts of the brotherhood, and so throw around them the girdle of a heaven-born and uniting charity, as will establish an evidence of the truth of Christianity—the last that Christ will give—which all its enemies shall not be able to gainsay or resist. Descend, holy and blessed Spirit, upon all Your churches, Your ministers, and Your people! Descend You upon Jew and Gentile; everywhere and among all people manifest Your glory, until the Church scattered up and down the earth shall acknowledge, receive, and welcome You, her ever-blessed and ever-abiding Indweller, Sanctifier, and Comforter!